Affordable Rate. Quality Products. Happy Home. At Dr. Energy Saver Central Florida, we offer a variety of easy-to-use financing options for homeowners in Central Florida. During our in-house visit, one of our specialists will help you find the financing options that work for YOU! Our experts are trained to use every resource possible to get you the best financing available. 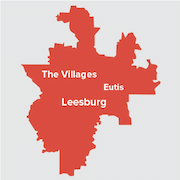 Our services include attic and garage insulation, radiant barriers, energy audits and more. We can offer financing options for practically any job. Contact Dr. Energy Saver Central Florida to learn more about our services or to schedule an estimate! ReHome home improvement loans help you pay for the efficiency upgrade projects you want and need at a fixed, low rate that you can afford. 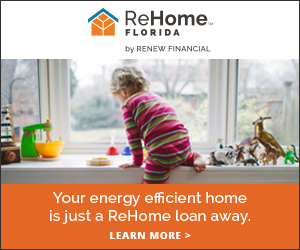 Offered by energy finance leader Renew Financial, ReHome loans have lower interest rates than most traditional financing, allowing millions of homeowners like you to complete renovations that enhance your home’s comfort and value while drastically reducing utility costs. Every project completed also supports your local economy and helps conserve vital resources. True Fixed Rate™- ReHome is financing you can count on.